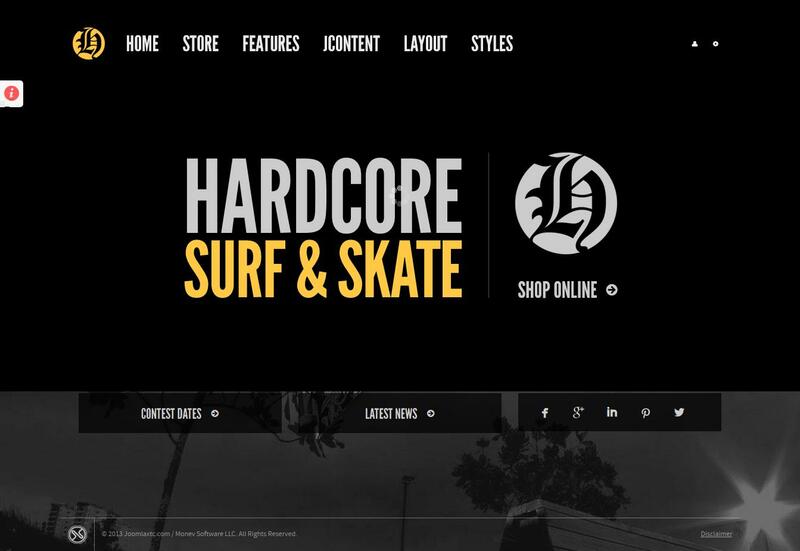 JXTC HardcoreShop - multifunctional template for creating high-quality online store - another creation studio JoomlaXTC, the basis of which the two components: K2 and VirtueMart. Template designed by studio JoomlaXTC Framework, allowing complete control over the layout options. Availability template four predefined color themes and more than 60 module positions and styles to them will pick up the appearance of the store. The template contained the best branded solutions: Appointment Book, Easy Image Gallery, K2 Walls and Deluxe NewsPro. JXTC HardcoreShop - an indispensable tool in creating quality and attractive to the user stores.